James “Jim” Parker Adams, age 69, of El Dorado Springs, Missouri, passed away April 6, 2011, at St. John’s Regional Health Center in Springfield, Missouri. He was born into a large family on August 6, 1941, near Caplinger Mills, Missouri, to Alden and Flossie (Shaw) Adams. As a young boy he loved pets after bringing home a stray dog on the end of a rope. He loved to play practical jokes, especially on his sisters and wife—one involved a rubber snake!! On October 16, 1971, he was united in marriage to Charleen Bausch. 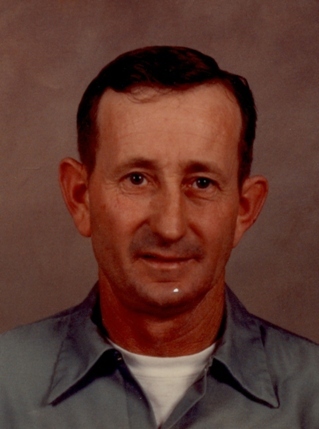 He loved farming, raising cattle and hogs, and row crops. He moved from the farm to El Dorado Springs in the 1980’s. He then worked for Producers Grain as a truck driver until his retirement in 2004. Preceding him in death were his parents; a sister, Patty; and an infant daughter, Abbie. He is survived by his wife of 39 years, Charleen; his three daughters: Anna, Karen, and Katie; one son, Danny; and a son-in-law, Ron Young. Grandchildren include: Dalton, Steven, Erin and Cory, as well as a yet to arrive grandchild. Also surviving are four sisters: Shirley and Nita of Greenfield, MO, Wanda of Iowa, and Regina of Kansas City; and three brothers: John and Lyle of Stockton, MO, and Wayne of Texas. Jim will be missed by all. The family received friends April 8, 2011, from 6-7 p.m. at Bland-Hackleman Funeral Home. Funeral services for Jim Adams were held Saturday, April 9, 2011, at 2:00 p.m. at Bland-Hackleman Chapel with Rev. Brent Bland officiating. Interment followed in Caplinger Mills Cemetery under the direction of Bland-Hackleman Funeral Home. Pallbearers were: Ronnie Leonard, Rodger Culbertson, Clarence Hackleman, Jim Toliver, Oscar Clark, and Jack Lady.